The middle of the 'cake' was a bottle of wine. In this case, Toasted Head Chardonnay, the husband's fave. 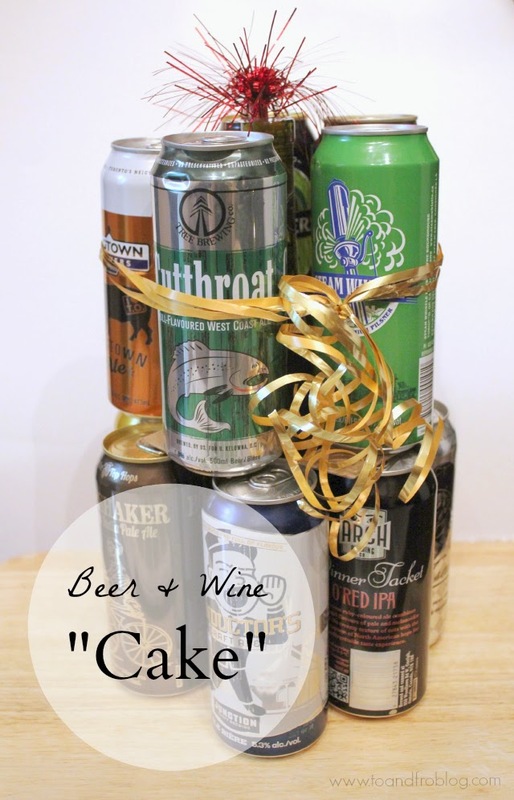 The outer part of the cake was made up of 12 cans of craft beer - 8 on the bottom layer and 4 on the top layer. You obviously don't need craft beer, but in my opinion, craft is better. Creating the tiers was a bit of a balancing act, so I put small pieces of cardboard between the layers of cans. It's also important to make sure all of the cans in the layer are the same height. We only made two tiers, but with a little more support, you could easily add a few more. 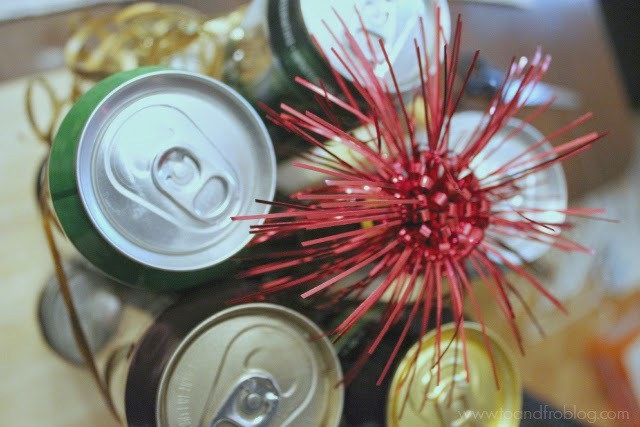 We them tied the cans together with ribbon and topped it with a pretty bow. And presto! The perfect gift for any craft beer and wine loving guy (or girl). Oh, and the 'cake' was a hit. But, didn't get us off the hook from making him a real cake. Would your significant other appreciate this gift? 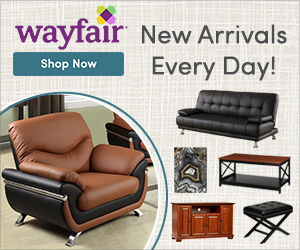 Definitely great for a guy! I did something similar for my hubby last year- got him 2 beers from every country we have been to together. Then I realized we have to stop traveling, or I won't be able to keep doing that! ;) Drinks are always a good bet for our guys, I've found! This is such a great idea!!! I'm certainly pinning this for my husband's birthday in October!! This is such a fun idea! My husband would love this (and agreed, craft beer is always better). This is such a good idea...I can't wait to make it for someone!